The summer before entering college I got a job as an assistant at a retirement home. One evening I was taking an elderly gentleman’s pulse, while together we watched Neil Armstrong’s first walk on the moon. It was in that moment; feeling his strong, steady heartbeat, while sharing the wonder of our Nation’s achievement with him that I decided to become a nurse. I have taken a lot of vital signs since then and they still help me make a connection with the patient. These tools have been around for more than 100 years. Pulse and respirations were the original vital signs because they only required a timepiece to measure. Although the thermometer was invented by Galileo, its clinical use did not began until the late 1800’s, followed shortly thereafter by blood pressure measurement. With the introduction of the pulse oximeter in the 1980s oxygen saturation has been suggested as a fifth vital sign (Olsen 2012, Tierney, Whooley, and Saint 1997). There is much debate in the literature about the use of vital sign changes to predict decline in physiological status, when and how often vital signs should be taken, and the role of new technologies in monitoring patients. Problems with accuracy of vital signs are attributed to the failure of healthcare professionals to follow recommended practices for measurement (Lockwood, Conroy-Hiller and Page 2004). Establishing a baseline for each particular patient. These baseline measurements are important because they help us identify changes in the patient’s circulatory, respiratory, neural and endocrine systems. To diagnose and treat illness. Abnormal vital signs are often the initial indicator of illness or disease and along with subjective and objective data will suggest the next steps that should be taken clinically. We also use vital signs to monitor progress in managing diseases such as hypertension. To identify risk for and prevent physiological deterioration. Patients often have changes in vital signs six to eight hours before cardiopulmonary arrest or other major organ failure (Storm-Versloot et al 2014, Moldenhauer et al. 2009, Kyriacos, Jelsma and Jordan 2011). Monitoring of patients who are already medically compromised helps us to detect deterioration in physiological status so that measures to prevent an adverse event can be taken. Temperature: There are three dimensions to temperature- the core body temperature which is estimated by mechanical means using a thermometer. Another is the patient’s subject feeling of being hot or cold. Last the body’s surface temperature or how hot or cold the patient is to touch (Elliot & Coventry 2012). Touch is remarkably accurate in identifying the presence of fever (Lockwood et al. 2004). The patient’s subjective description “ I feel like I have a fever”, our objective sense of the patient’s surface temperature “feels warm to touch” as well as the mechanical measurement of temperature are all components of the assessment of a patient’s temperature (Elliot & Coventry 2012). Environmental temperature as well as localized heating or cooling of the patient impact the measurement of temperature and should be considered in the evaluation of results (Lockwood et al. 2004, The Joanna Briggs Institute 2005). There is considerable variation in results among the various devices and locations used to measure temperature (oral electric, oral disposable, tympanic etc.) therefore a recommended best practice is to record the type of device used and location temperature was taken when documenting temperature results. For serial monitoring of an ill patient the same device should be noted and used for all measurements (The Joanna Briggs Institute 2005). Pulse: In addition to rate, important dimensions include strength, regularity or quality, and peripheral equality all of which can only be to be assessed by touch (Elliot & Coventry 2012, Goldberg 2009). I once witnessed a correctional nurse ask an inmate to take his own pulse and tell her what it was rather than touch him herself (?). Eighty six percent of nurses underestimate pulse rate. As the rate increases, the magnitude of error increases. (Lockwood et al. 2004). Best practices are to take the pulse for a full 60 seconds. This way it is more likely that irregularity will be identified and math errors in multiplying a 15 or 30 second count are eliminated (Elliot & Coventry 2012, The Joanna Briggs Institute 2005). A full minute count is especially recommended if the pulse rate is particularly slow or fast. Abnormal rates can be further assessed using a stethoscope to listen to the apical pulse for a full minute (Goldberg 2009, Lockwood et al. 2004). Respirations: In addition to the rate, observation of respiration includes noting the pattern or rhythm, effort including use of accessory muscles, depth and equality of chest expansion (Elliot & Coventry 2012, The Joanna Briggs Institute 2005). Observing respirations for two 30 second periods or for one 60 second interval provides a more accurate measure of respiratory rate than shorter intervals. Respiratory rate is considered a sensitive indicator of critical illness or an impending adverse event and so should be included in the serial evaluation of any patients presenting in distress (Elliot & Coventry 2012, The Joanna Briggs Institute 2005, Goldberg 2009, Lockwood et al. 2004). Tissue oxygenation: While this is an important tool in managing patients with cardio-pulmonary disease there is no evidence that routine measurement of pulse oxygen saturation (SpO2 ) makes any difference in managing patients or their clinical outcomes in the ambulatory care setting (Lockwood et al. 2004). Therefore the patient’s SpO2 should be considered part of the evaluation of respirations rather than a separate vital sign (Fetzer 2013). Factors that affect the accuracy in determining SpO2 include any condition that decreases peripheral blood flow (atherosclerosis, vasoconstrictors, peripheral edema, hypothermia etc.) as well as conditions that interfere with transmission of light (nail polish, artificial nails, dark pigmented skin, moisture, jaundice, motion, outside light). Studies show that nurses often lack knowledge of the factors that affect its accuracy (Elliot & Coventry 2012). Blood pressure: This vital sign is one of the most inaccurately measured by health care professionals and yet is one of the most important in diagnosing, treating and managing disease (Elliot & Coventry 2012, Lockwood et al. 2004). One study reported by the American Heart Association (AHA) found that only two percent of nurses and three percent of physicians measure blood pressure according to the AHA guidelines. Errors were made in placement of the cuff, size of cuff, inflation pressure and placement of the stethoscope (Pickering et al. 2005). Automated blood pressure monitors save time but are considered less accurate than use of proper technique and a sphygmomanometer and stethoscope (Lockwood et al. 2004, Elliot & Coventry 2012, The Joanna Briggs Institute 2005, Pickering et al. 2005). The AHA recommends that clinicians be evaluated and re-coached in technique periodically (Pickering et al. 2005). Best practice recommendations include using the bell rather than diaphragm of the stethoscope, the patient should be sitting with back and legs supported, the patient’s arm should be at heart height and supported at the elbow, the upper arm should be bare or unencumbered by clothing and the width of the cuff should be 40-46% of the circumference of the arm. The cuff should be inflated to 30mmHg above the last systolic pressure or when sound disappears at the brachial artery in the antecubital fossa. Pressure should be deflated at a rate of 2-3 mmHg/second. When blood pressure measures either high or low of normal a second measurement should be taken after consideration of factors that may be affecting the rate (recent exertion, anxiety, position, poor technique, wrong cuff size etc.). Repeated measures are much more valuable in managing hypertension than a single measurement (Fetzer 2013, Lockwood et al. 2004, Elliot & Coventry 2012, The Joanna Briggs Institute 2005, Goldberg 2009, Pickering et al. 2005). Summary: There is a lot more to taking a patient’s vital signs than simply measuring temperature, pulse, respirations and blood pressure. This review reminds me of how much data can be collected when getting vital signs and how rich it’s meaning becomes when done comprehensively rather than piece meal. I will say that I don’t think I have had my competency taking vital signs evaluated nor has my technique been peer reviewed as recommended by the AHA. Does anyone have a peer review tool or a competency evaluation for vital signs that they would recommend after reviewing the best practices in this post? If so please share by responding in the comments section of this post.For more on the professional practice of nursing in the correctional setting get a copy of our book Essentials of Correctional Nursing. If you order directly from the publisher you can get $15 off and free shipping. Use code AF1209. Fetzer, S.J. (2013) Vital Signs in Potter, P.A., Perry. A.G., Stockert. P.A., and Hall, A.M. (Ed.) Fundamentals of Nursing. Elsevier St Louis, MO. Lockwood, C., Conroy-Hiller, T., and Page, T. (2004) Vital signs. International Journal of Evidence Based Healthcare 2(6): 207-230. Olsen, S.J. (2012) Standard 1. Assessment in White, K. M. & O’Sullivan, A. (Ed.) The Essential Guide to Nursing Practice. American Nurses Association. Silver Spring, MD. Pickering, T.G., et al. (2005) Recommendations for Blood Pressure Measurement in Humans and Experimental Animals: Part 1: Blood pressure Measurement in Humans: A Statement for Professionals from the Subcommittee of Professional and Public Education of the American Heart Association Council on High Blood Pressure Research. Hypertension. 45: 142-161. Tierney, L.M., Wholley, M.A., & Saint, S. (1997) Oxygen Saturation: A Fifth Vital Sign? Western Journal Medicine 166: 285-286. The Joanna Briggs Institute (2014) Vital Signs (JBI2005). 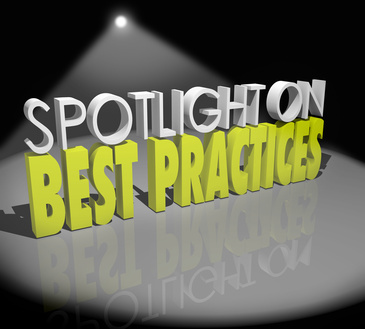 Evidence Based Recommended Practices. The Joanna Briggs Institute 1-8. This entry was posted in Assessment and tagged Catherine Knox, correctional nursing, Essentials of Correctional Nursing, jail nurse, prison nurse. Bookmark the permalink. ← Vital Signs: Essential Tool or Task? We must complete an assessment at the beginning of each shift. RN’s are asking if a Patient Care Technician can take those vitals versus tying up an RN to do that. What’s the verdict on this rule or standard?